Does 25 years feel like an Eternity? It will now as Calvin Klein Eternity celebrates 25 years of their timeless romantic fragrances which are a celebration of lasting love and intimacy. Calvin Klein Eternity 25th Anniversary Edition - 100ml EDP - $94 - a romantic floral scent with top notes of freesia, mandarin and sage; heart notes of muguet, white lily, marigold and narcissus; and base notes of patchouli, sandalwood and amber. Calvin Klein Eternity for Men 25th Anniversary Edition - 100ml EDT - $85 - a classic, masculine and refreshing scent with top notes of mandarin, lavender and green botanics; heart notes of jasmine, basil, geranium, sage and tarragon; and base notes of cedarwood, vetiver, rosewood and amber. 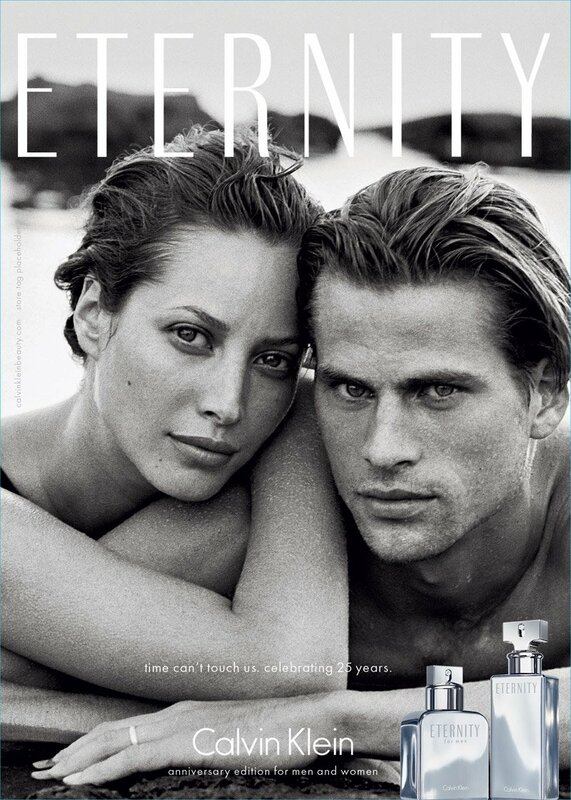 The anniversary bottles have been cast in a sleek silver metallic finish and there has been a return of the brand’s iconic 1995 advertising campaign featuring Christy Turlington Burns and Mark Vanderloo - who definitely don't look 25 years older! Available now for a limited time at Hudson's Bay, Sears, Shoppers Drug Mart, London Drugs, Rexall and Jean Coutu. Essie Spring 2014 Collection - with swatches! Get summer ready with Nair Candy Apple Sugar Wax! OPI Sheer Tints Top Coat - with swatches!